The path down to the loch. It had been raining heavily and the grasses were a rich 'fiery' orange colour. 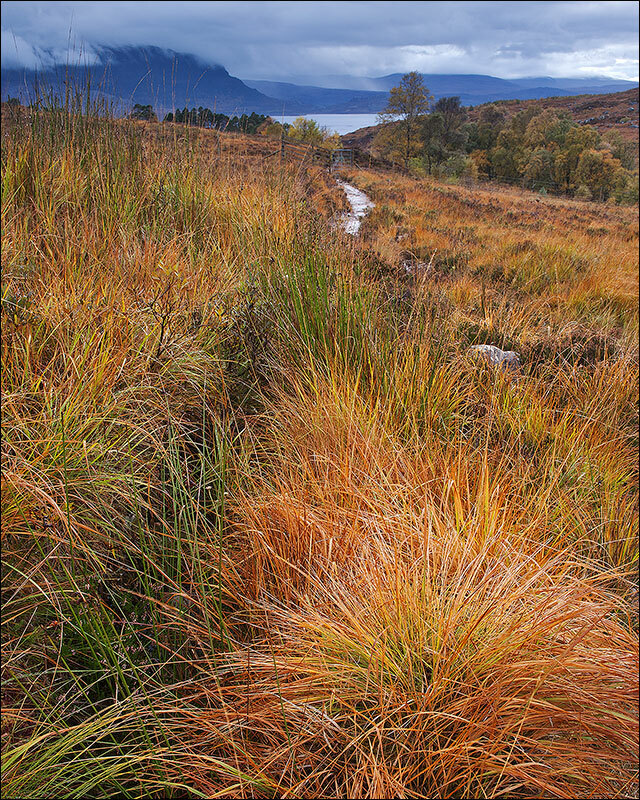 In the immediate foreground was a clump of very colourful grasses near to the path that lead down to Upper Loch Torridon.